The Slimfit patch is the newest and one of the top efficient way to shrink your waist, reduce your belly fat and cellulite. Made from the HIGHEST QUALITY ingredients the Slimfit patch is a revolutionary risk-free slimming invention. Use the Slimfit patch for several days and start noticing results really fast. This is What SlimFit Can Do For You . . .
Slimfit Patch has the size reduction effect, can reduce average 1-2 inches in 2 months—clinically tested from FDA in the USA. And This is possible because of Slimfit Patch ingredients. SlimFit Patches are made from ALL Natural ingredients. The natural herbs and plant extracts combine to create a fat-burning powerhouse. Now this works well in burning target area fast and attacking the fat accumulated positions precisely. The patches are way efficient and better than well-known pills. There is PERFECT Patch for every body part so you can sculpt your body. Ouch, The Cellulite Look Ugly. . . If your body and curves are out of shape, then you seriously need to consider this. Slimfit Patch is an abdomen treatment patch that helps burn out fats and bumpy cellulite! 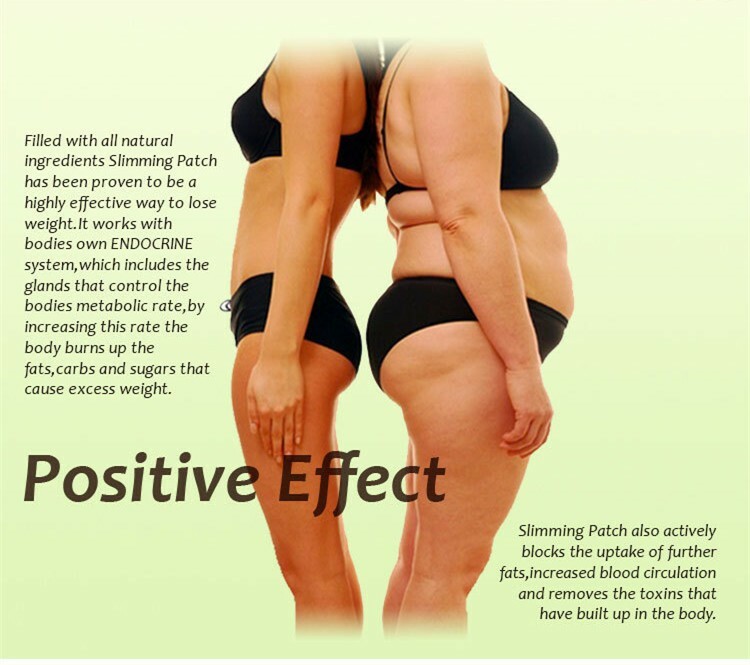 Slimfit Patch is for treatment for belly fats and obesity. 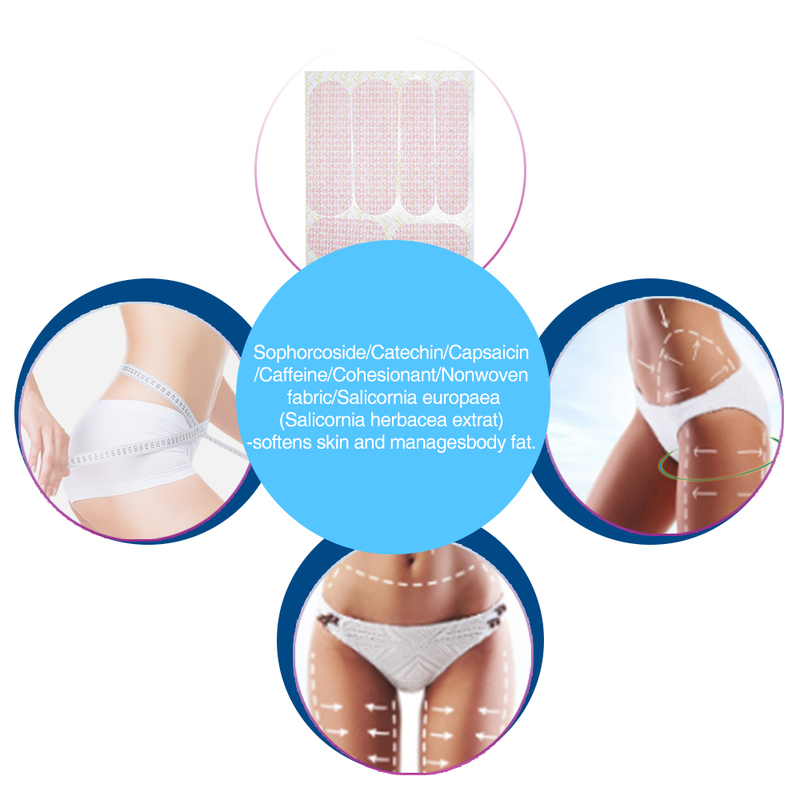 The patch works in controlling weight and reducing body curves naturally by accelerating fat burning for 24 hours. It effectively eliminates excessive fats and firms up body skin. You’ll feel of warming effect at the first touch as the ingredients are working to burn out fats for a slender body shape. The natural ingredients in SlimFit are proven to work. In fact, there is hundred of research and experiments proving the ingredients in SlimFit have miraculous properties. Caffeineprevents fat accumulation and breaks up cellulitis. Salicorniaextract provides ant irritation and prevents skin dehydration. On a clean, showered body, apply the patch to the according to the body part. Avoid movement for 5 minutes in order to allow for proper adhesion. Remove after 6-8 hours. Do not use for more than 6 hours. Do not use more than once a day. For external use only. Always eat healthy food, non-fat and lowest carbs as possible. Do the aerobic exercise for at least half an hour per day. This will help you to get a good slimming result. Order the SlimFit Patches today and get the amazing results. I'm so sure that you will absolutely love it that I'm providing it with Iron Clad guarantee. . . If you don’t love it, we’ll refund your money and you can keep the Patches. So this is the time to order the SlimFit Patch and flush your toxins out at the same time cutting your body fats. Just received the product in good condition. Thanks for the gift. Great like always! It is the 6th month with the patches! If You don't have the time for the gym, You must have it! No need to worry about endless hours at the gym or strict diets. Slim Fit patches and a sensible diet will suffice. Item ships fast. Lost 3 inches in a month from my tummy area just by wearing these patches every day and drinking plenty of water. First order from Bodeaz, came here in 7 days, thank you!